Things seem to be escalating. Both, in the geopolitical arena, as well as the technological warfare scene. Interesting what one can do with resonant frequencies. This takes the black hat audio attacks a step further then exploitation of the web connected consumer devices. This could be a direct scaler acoustic attack on humans? BEIJING — The U.S. Embassy in China issued a second health alert Friday, warning American citizens about a mystery illness apparently caused by unexplained sounds that has already prompted the evacuation of several diplomats and family members. Anyone experiencing “any unusual, unexplained physical symptoms or events, auditory or sensory phenomena, or other health concerns” should seek medical advice, the alert said. The mystery illness, apparently caused by unexplained sounds heard in diplomats’ homes in China, appears similar to a series of cases that struck U.S. and Canadian diplomats and their families in Cuba beginning in late 2016. It has baffled medical experts and the FBI, despite extensive investigations and research. The State Department said one employee from the consulate in the southern city of Guangzhou, who has already been evacuated from China, was found to have exhibited symptoms “consistent” with the Cuba incident, after hearing strange noises in his apartment and showing signs of brain injury. Scary what resonant frequencies can do to the Human body. Black Hat acoustic exploits are becoming ever more common. (CNN) The US State Department on Friday issued an expanded health alert for China over concerns for the safety of US personnel in the country following reports of a series of mysterious acoustic incidents. A health alert was first issued for Guangzhou on May 23 after a US employee stationed in the southern Chinese city was diagnosed with a mild brain injury after complaining of unexplained sonic phenomena. The latest alert is countrywide. 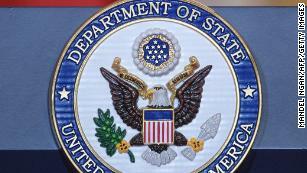 On Wednesday, the State Department said it had sent an unspecified number of US personnel stationed in China back to the United States for further medical testing. In the alert, the State Department compared the employee’s injuries to those suffered by US personnel and their families in Cuba between 2016 and 2017. “If you or members of your family experience any unusual, unexplained physical symptoms of events, auditory or sensory phenomena … please contact your health care provider,” the alert said. While US authorities have only confirmed that one staffer has been affected so far, State Department spokeswoman Heather Nauert said on Wednesday they had commissioned optional health screenings for all Guangzhou personnel. “As a result of the screening process so far, the Department has sent a number of individuals for further evaluation and a comprehensive assessment of their symptoms and findings in the United States,” she said in a statement. For all the talk of puke rays, sound weapons, blinding lasers, and pain beams, you’d think the military has an arsenal of nonlethal weapons at the ready. But they don’t, mostly because without human testing, many nonlethal effects are anecdotal (and thus possibly ineffective), or, potentially dangerous. At least for sound weapons, that now may be changing. A military-funded lab is pushing to get approval to conduct human testing at 130Db to see if, in that range, sound could have a “deterrent effect” (beyond just being loud and annoying). As Nicholas C. Nicholas, the Chief Scientist at Penn State’s Applied Research Laboratory, said today at a nonlethal weapons conference. “Behavior modification is next logical step [in testing],” he said.